Continuing the 8K trend that's in full effect at CES 2019, Sony has announced a new Master Series range of televisions that includes an epic 85-inch 8K LED television as its headliner. Sony's Z9G 8K LED TV, which is set to arrive in the second half of 2019, is capable of producing startlingly sharp images that are four times the resolution of 4K, and can be viewed up close with "virtually no pixel differentiation," according to a statement from the Japanese company. Utilizing a proprietary algorithm, along with the company's latest X1 Ultimate processor and 8K X-Reality PRO technology, the Z9G is also able to upscale content to near "8K picture quality", says Sony. Along with its standout 8K offering, Sony also announced a follow-up to its award-winning A9F OLED in the upcoming Master Series A9G 4K OLED TV, which will be available in 55-inch and 65-inch models from August and a 77-inch model from September. 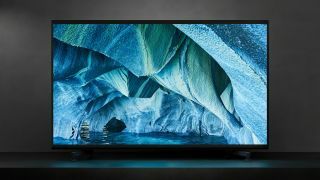 Sony also announced a number of televisions outside of its Master Series, with a new entry-level OLED in the A8G Bravia, which is set to arrive in July, and two new 4K LCD offerings in the X9500G and X8500G, which will be available in 55-inch, 65-inch and 75-inch models from May. An 85-inch version of the X8500G is also set to arrive in July. So far, pricing information for each of the newly-announced televisions is still TBC, though we expect to hear more in the lead up to their release. Expect the 85-inch 8K TV to cost a pretty penny, though.